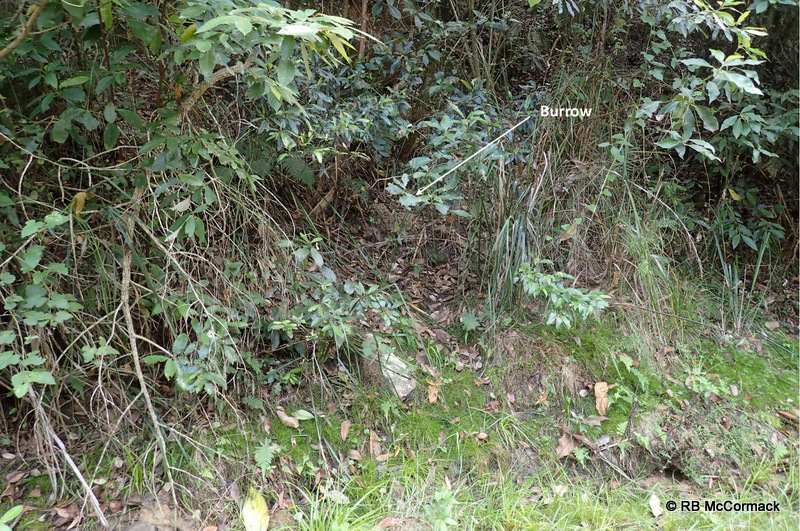 During routine “Pure Research” as part of the Australian Crayfish Project we were attempting to map the distributions of known species in central western drainage of NSW. This involves opportunistic surveying of any available streams as we drive rural backroads attempting to head in a general direction. You may think this is easy, but it’s not by any means. We have a general plan before we leave, mostly planned by google maps. When we are on the ground we are use our Hema GPS and Garmin GPS plus a number of other phone apps in the vehicle. 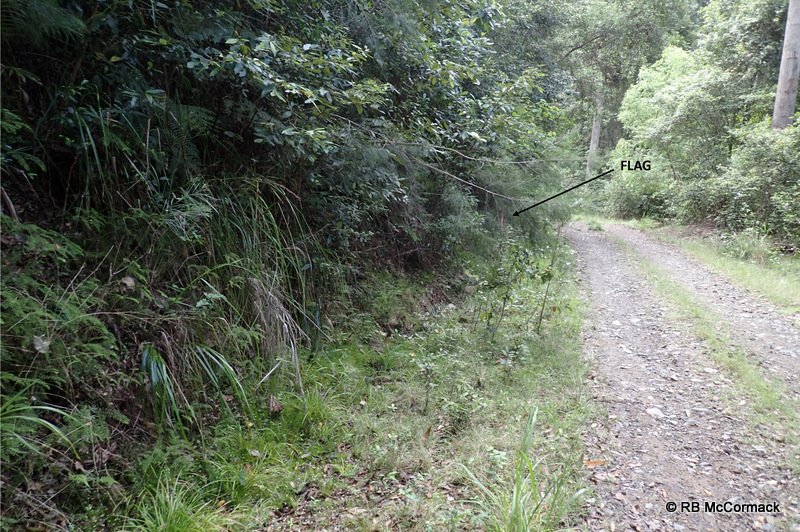 Unfortunately, none of them are accurate, all our maps indicate the road continues but that’s not the fact. We will travel an hour up a back road but come to a locked gate, or the road ends, or it’s a private property, or a deep river crossing. 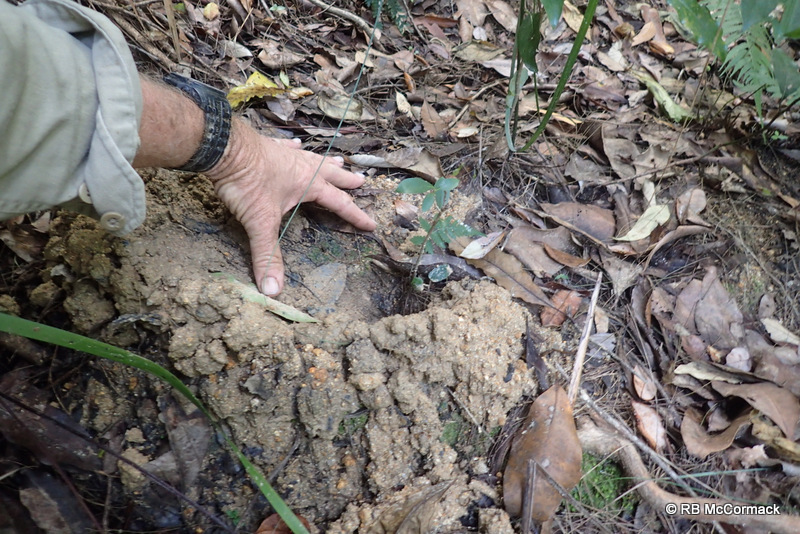 We then need to back track an hour, travel 2 hours around to the other side of the road, survey it then head back to camp. 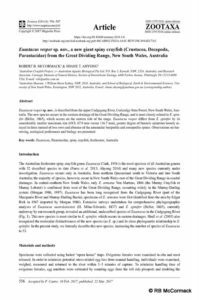 Most of western NSW is rural grazing properties and significantly habitat altered. 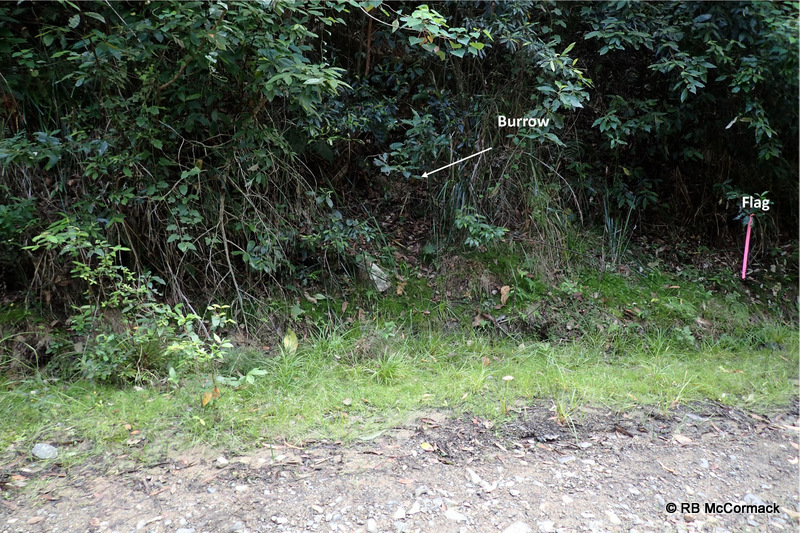 This restricts our surveying efforts to the creek and river crossing on whichever road we end up on. Despite the difficulties, we persevere and have good results. 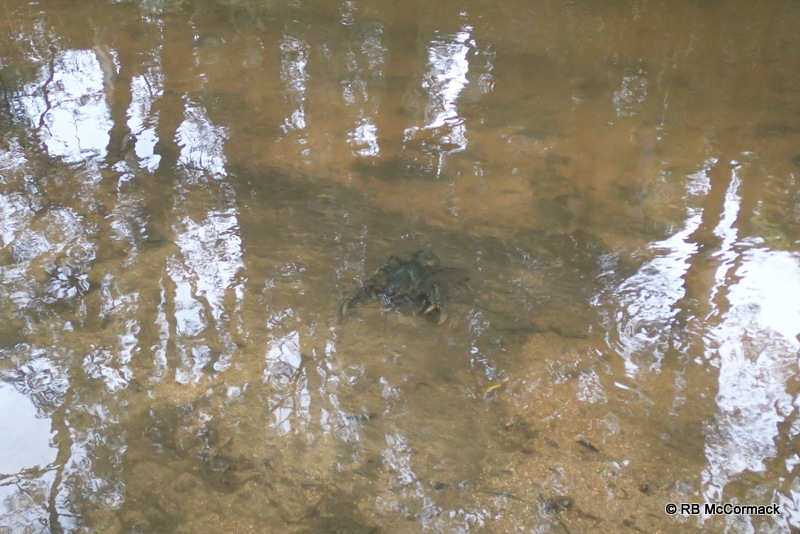 Surprisingly at a random creek crossing we found this animal. Now it does not like anything unusual or significant until you have a closer look. 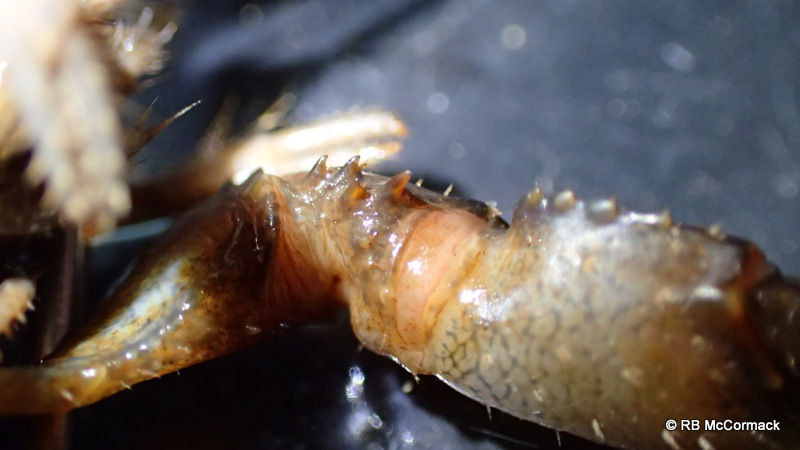 This crayfish has 4 mesial carpal spines which is very significant. 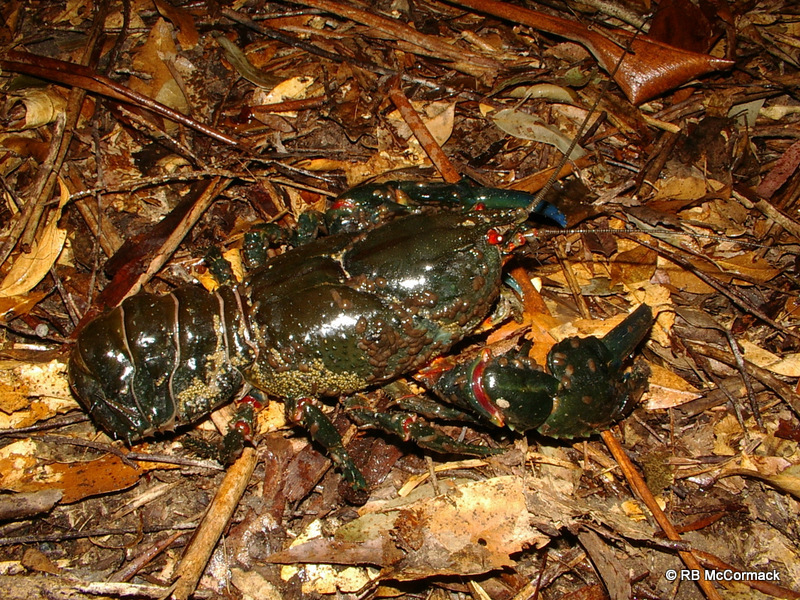 The majority of NSW crayfish with 4 mesial carpal spines are all restricted to the far north of the state in the rainforests. The species with 4 mesial carpal spines are Euastacus girurmalayn, Euastacus guruhgi, Euastacus jagaba, Euastacus maidae and Euastacus mirangudjin. All of these species are in eastern drainage. Queensland has a mass of species with 4 spines but once you get below the NSW/Qld border area the species with 4 spines are restricted to just 2. 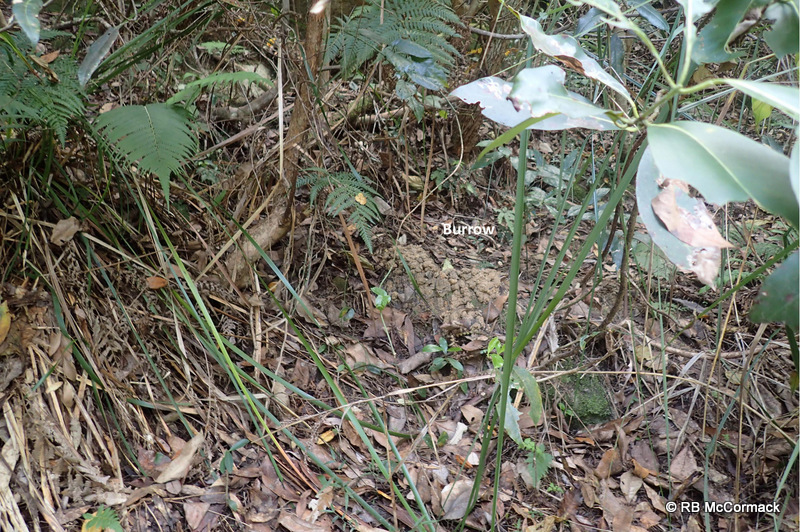 In NSW in eastern drainage you have Euastacus reductus and in Victoria you have Euastacus diversus. 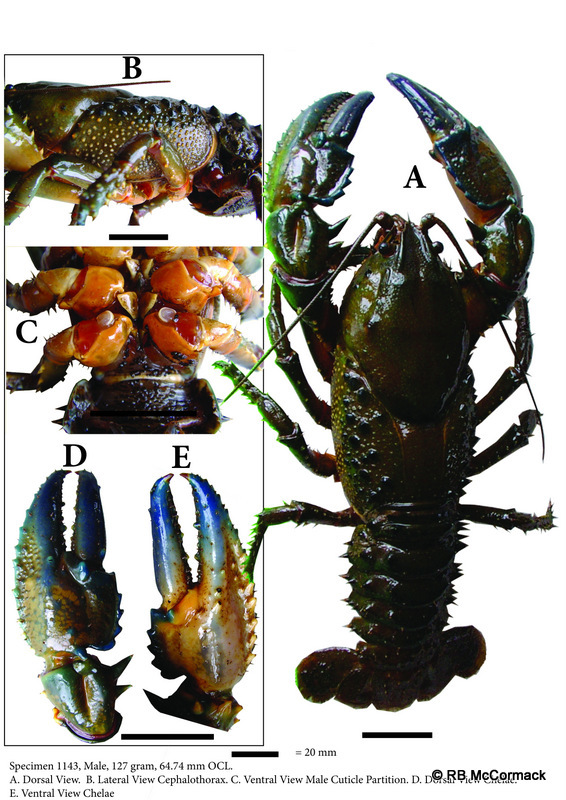 This new species represents the first species of Euastacus with 4 mesial carpal spines ever found in western drainage. 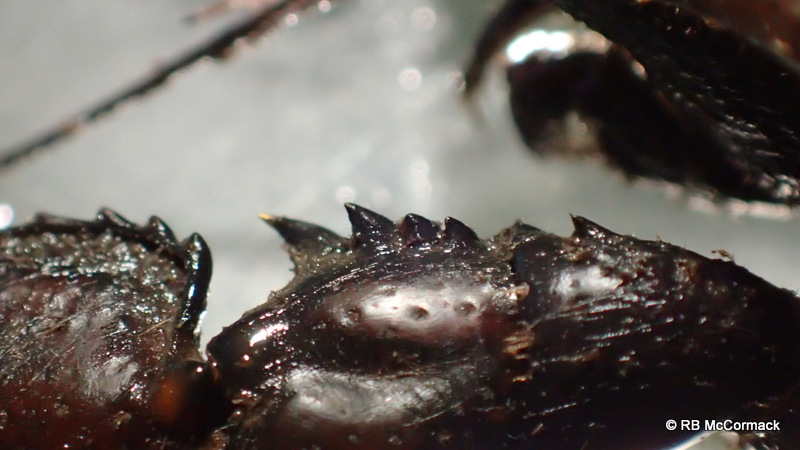 Interestingly, the spines are in a relatively straight row, unlike the spines of the border range Euastacus. 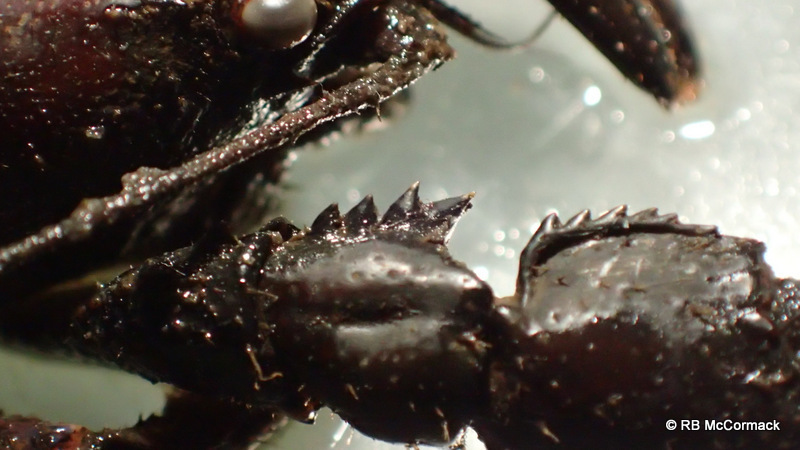 Among other things I’m researching Euastacus maidae from the upper Tweed and Currumbin Creek area . This is one I caught in early May 2019 (ACP6345), note the mesial carpal spines are not in a straight row, the first two spines are offset to the other two. Its early days yet and we will now start a “Strategic Research Project” to describe this new species. This will be a slow process as Im just a volunteer doing all this research out of my own pocket with the help of some of you generous people that donate to the project. 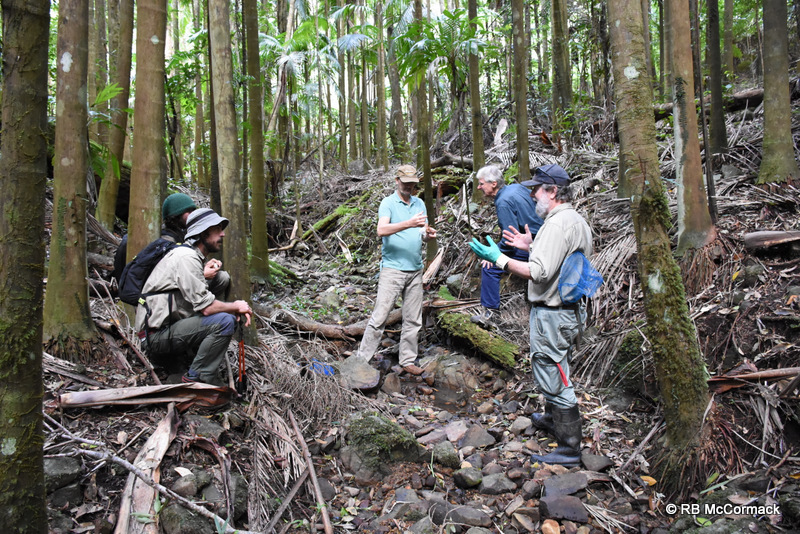 Every day in the field requires 2 days in the lab, processing specimens and writing up results and papers. 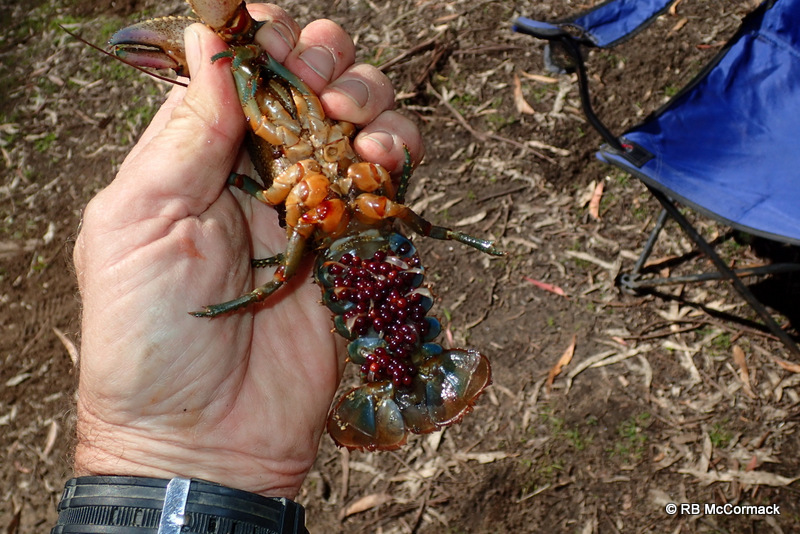 Plus vehicle costs are astronomical with over 50,000 km/year travelled looking for crayfish. If anyone has some spare cash please contribute. Describing a species is important, without a name and when no one knows that the species exists then any sort of conservation is impossible. 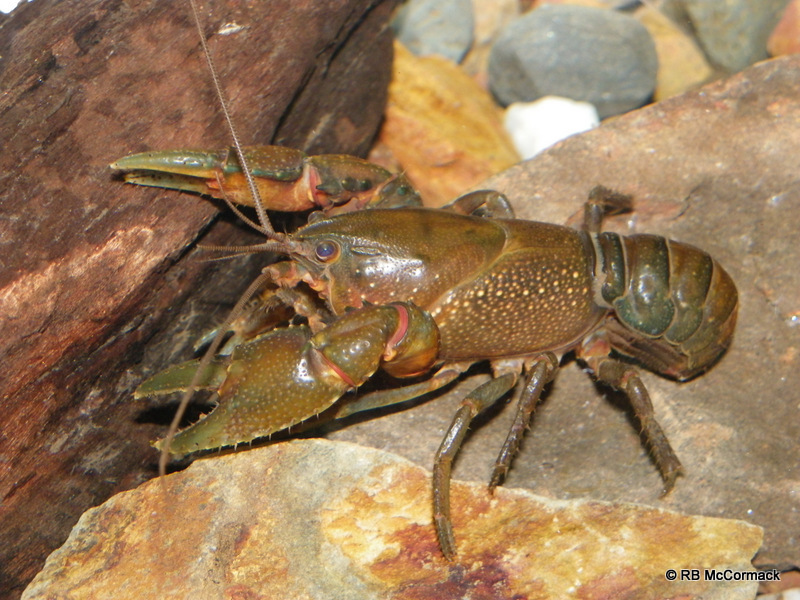 Formal description of a species provides the information the management agencies need to help conserve the species and provides support to catchment and landcare groups that are concerned with riparian zone repair and stream health in which the crayfish species lives. 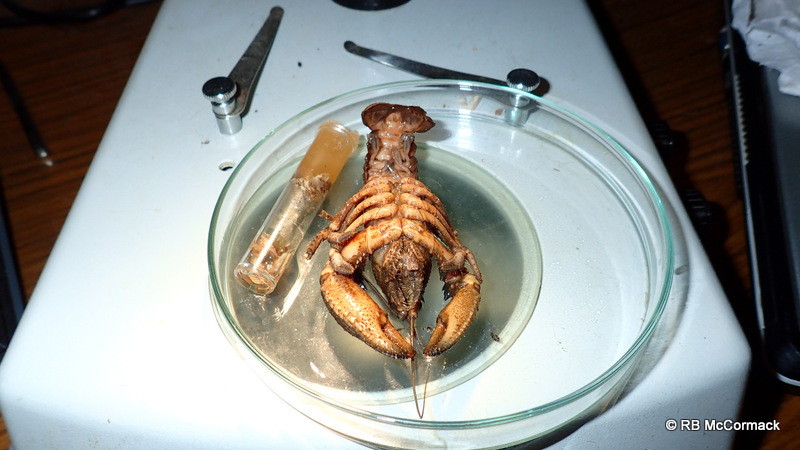 Are you aware that illegal exotic Dwarf Mexican Crayfish are currently being clandestinely sold in Australia! 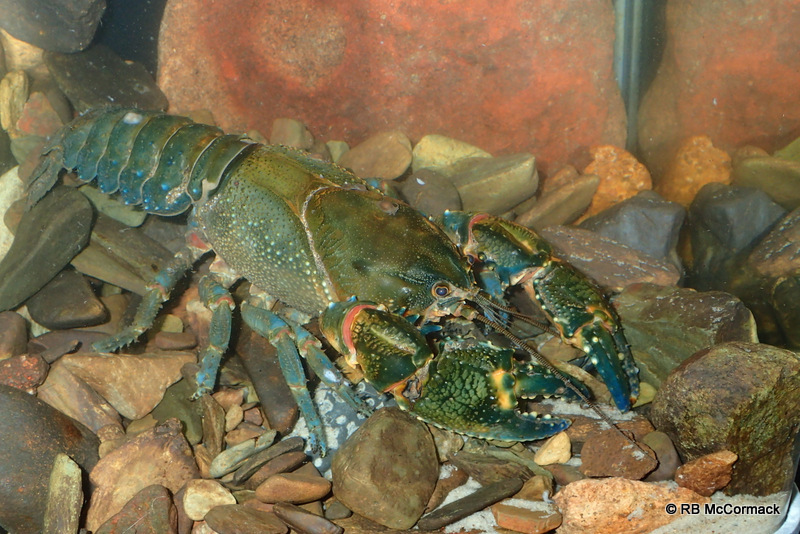 All exotic freshwater crayfish are banned from Australia due to the potential for carrying “Crayfish Plague” and the potential to become pest species upsetting the natural balance. 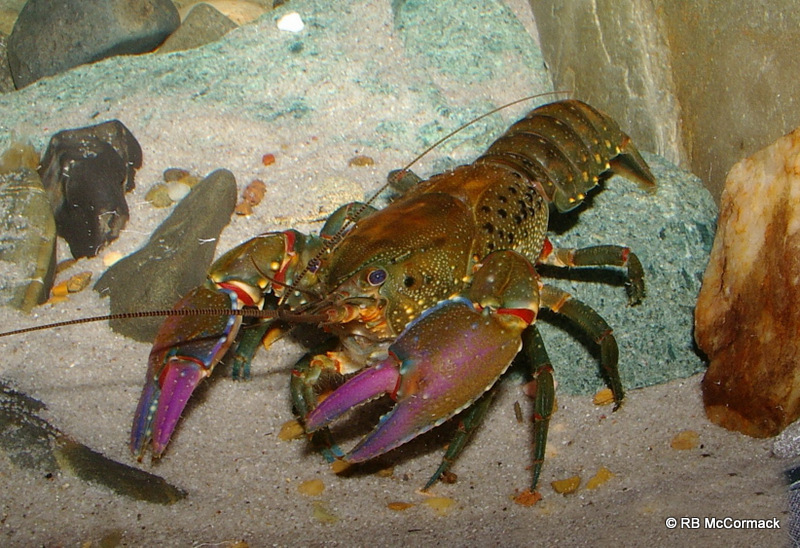 All exotic crayfish species are prohibited from Australia. 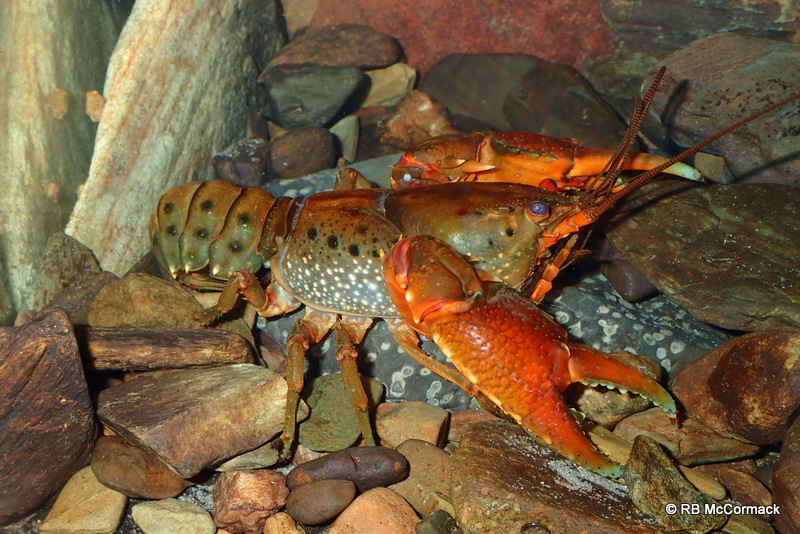 Crayfish plague is a serious disease of freshwater crayfish, and Australian crayfish are highly susceptible. 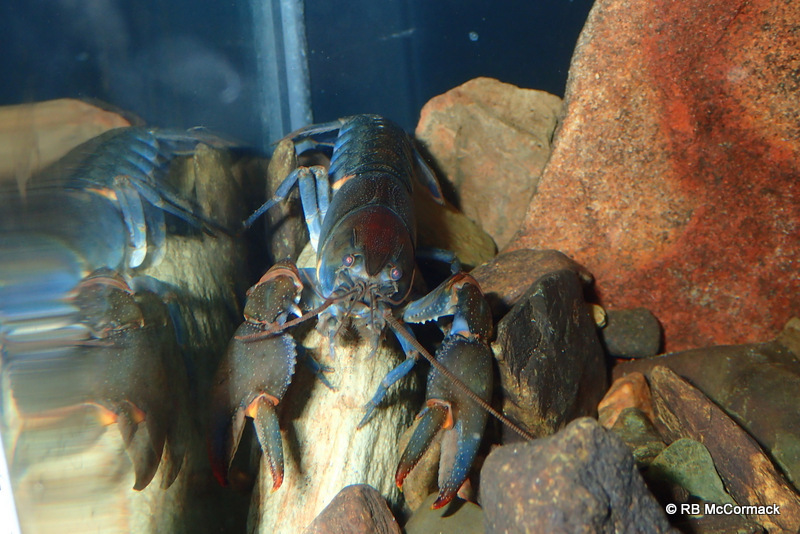 Crayfish plague has the potential to destroy the Australian Crayfish Aquaculture Industries in all States. 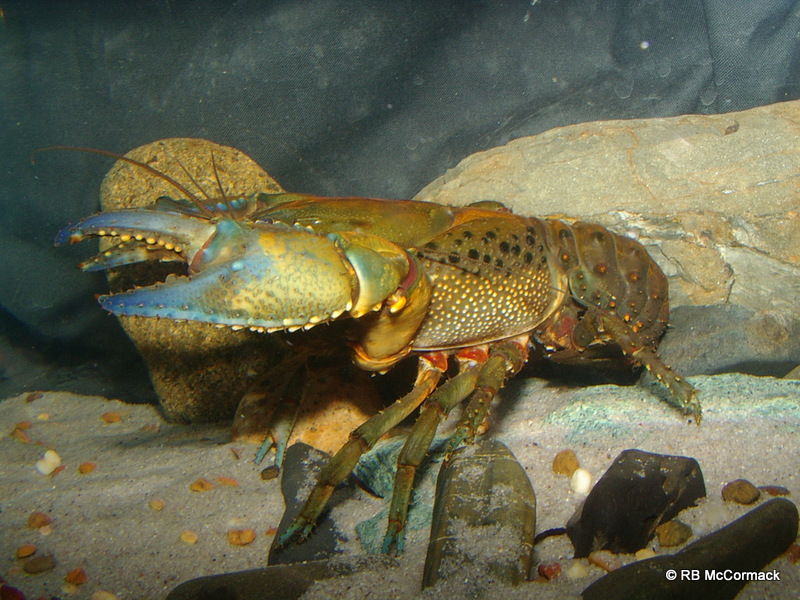 Redclaw, Marron and Yabbies are all highly susceptible as are all other native Australian freshwater crayfish. 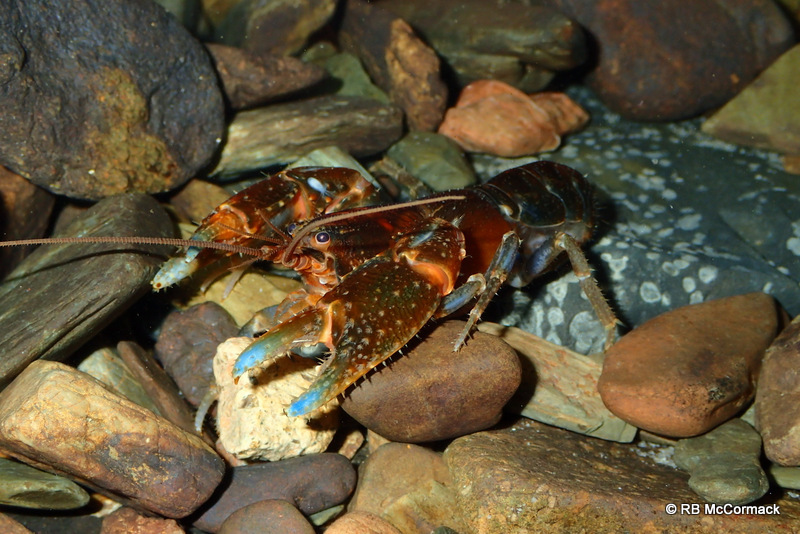 Freshwater crayfish are keystone species with a disproportionately large effect on the whole catchment relative to their abundance. They play a critical role in maintaining the structure of the whole ecological community, their prosperity and abundance affecting many other organisms in the ecosystem and helping to determine the types and numbers of these other species in the catchment. 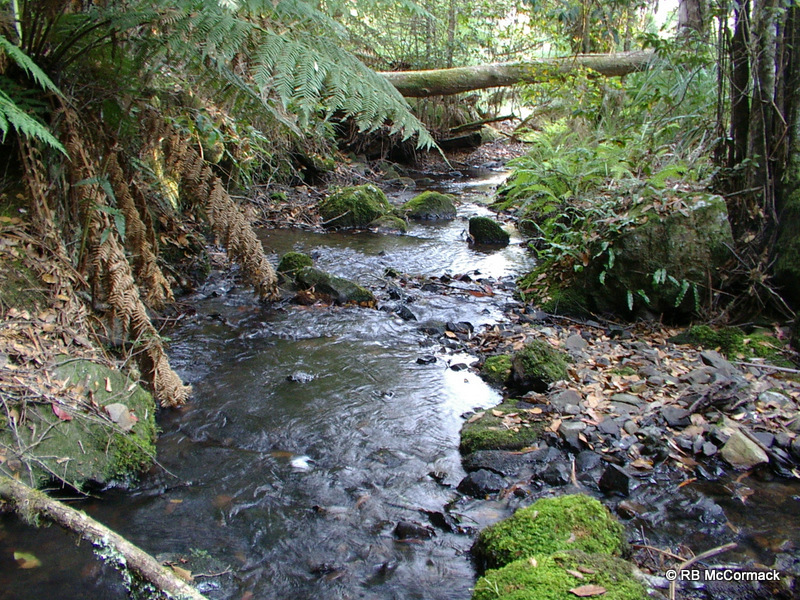 As keystone species, their removal from the creeks, rivers and lakes of Australia would detrimentally alter the ecology of Australia. 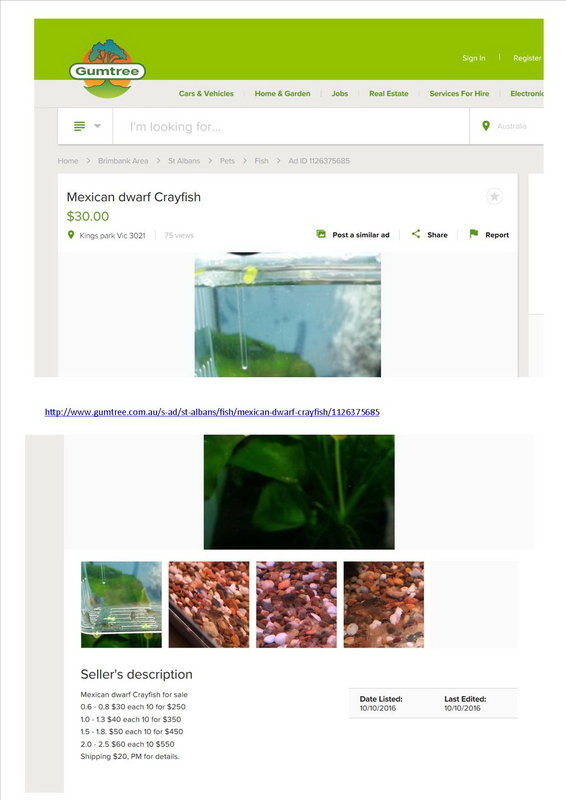 It was the 12th July 2016 when I heard that this clandestine trade was occurring and unscrupulous people were selling them on facebook and trying to hide their trails. Seemingly, everyone knew they were doing something illegal but these crayfish were being sold for $30-$200 each so very lucrative. My immediate concern was to alert the authorities so I immediately contacted the Department of Agriculture and Water Resources (DAWR) and then wrote to the Deputy Prime Minister Barnaby Joyce who is also the Minister for DAWR. This department is responsible for Australia’s biosecurity and their job to keep exotic species out of the country. 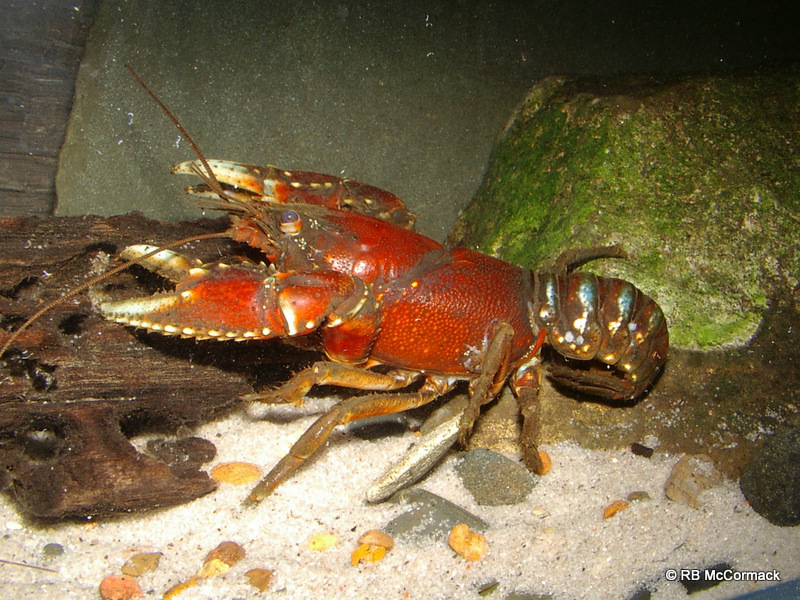 The Department of Agriculture and Water Resources, 2005 created AQUAVETPLAN – Disease Strategy Manual – Crayfish Plague. This disease strategy manual is an integral part of the Australian Aquatic Veterinary Emergency Plan (AQUAVETPLAN). 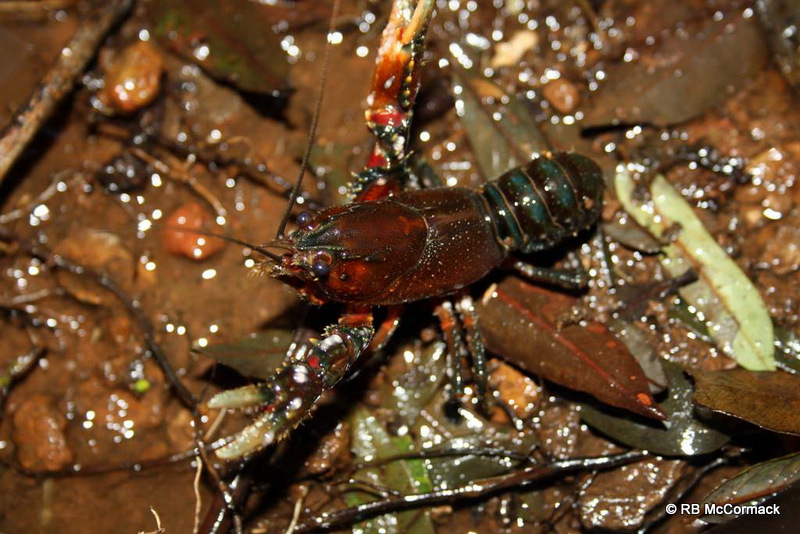 The manual sets out the disease control principles for use in response to a suspected or confirmed incursion of crayfish plague in Australia. National environment law is covered by the Environment Protection and Biodiversity Conservation Act 1999 (EPBC Act). This legislation covers the import of all live animals. For the imports of live plants and animals the legislation: establishes a list of specimens suitable for live import. Only fish listed on the list of specimens taken to be suitable for live import (the live import list) can be imported into Australia. You should be aware that species not listed on the live import list are prohibited imports. 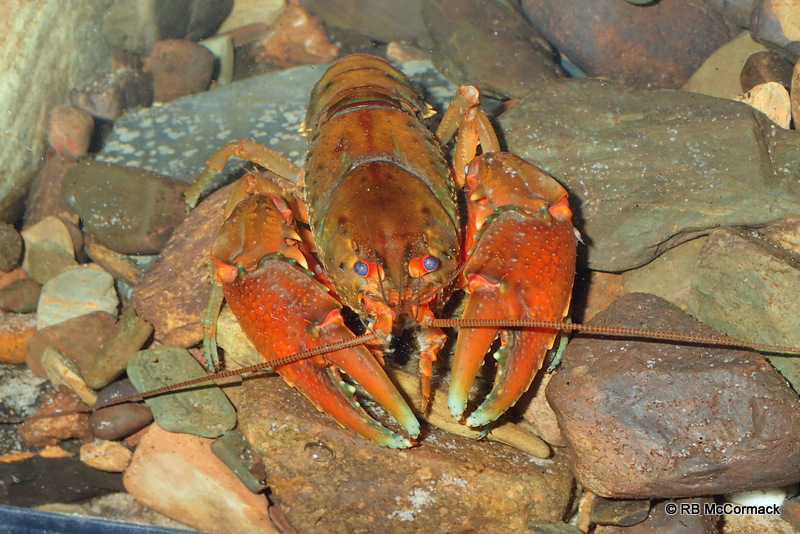 No freshwater crayfish are on the list so all freshwater crayfish are prohibited from Australia. The EPBC Act refers to illegal imports. On the website it states: Some of the exotic animals available in Australia have been imported illegally despite Australia’s strict import laws. Possessing illegally imported animals (or their offspring) is an offence under national environment law. The penalty for illegal possession under national environment law is gaol of up to five years and/or a fine of up to $110,000. Despite legislation to stop this illegal trade nothing is heard from the Department of Department of Agriculture and Water Resources for 15 weeks whilst they supposedly investigate. Then on the 26/9/16 this turns up on Facebook! Once I saw this I immediately contacted DAWR and the Minister as I could not believe that this was true. But sure enough someone claiming to be from DAWR rang me and advised they had finished their investigation, they had tested one crayfish and it was plague free, that the crayfish being sold are offspring of imported crayfish, the departments only interest is imported crayfish, as these aren’t imported, they don’t care and nothing they can do. You can imagine this was not what I wanted to hear and I advised; Im not interested in listening to hearsay over the phone I want all that in writing. In response he advised this was a Monday and the whole Department had the day off and there was no one there that day so it would be a few days before I would receive conformation in writing. Going on past performance I’m sure you can all guess there was no written confirmation within the next few days. It wasn’t till the 18th October (24 days later) that I finally received a very disturbing response from Barnaby Joyce. SHAME! SHAME! SHAME! is an understatement. For a copy of the Minister’s unpalatable response to this Biosecurity Threat to Australia “Click here”. 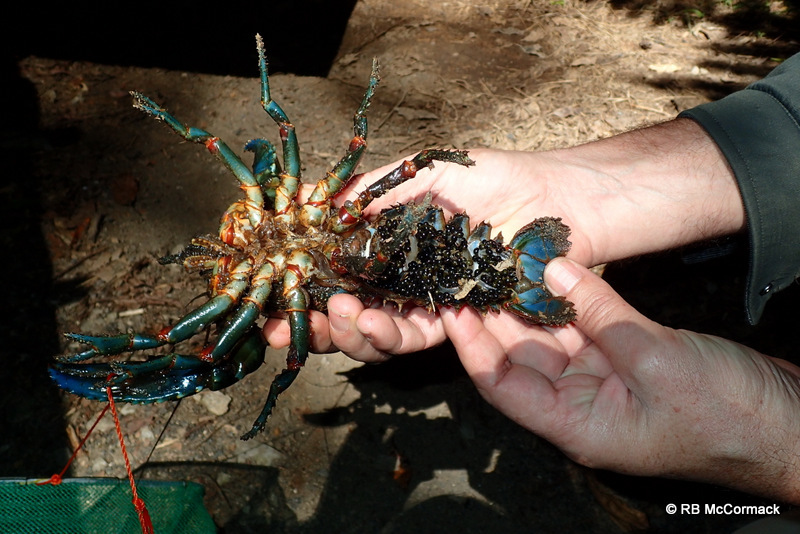 He states the exotic Mexican crayfish were legally brought into Australia. How can an illegal species be legally brought into Australia?????????????? Then only 1 crayfish tested for plague, what level of accuracy or protection does that give us??????????????? I’ve requested the Minister advise, who legally imported them and when; plus who is responsible for allowing this import. As yet no response but I have heard on the grape vine that legally imported is a typo and it should have been illegal. Who knows-Ill update when the Minister responds-going on past performances, that’s no time soon. In my opinion the Deputy Prime Minister, Barnaby Joyce has categorically failed in his duty of care to the people of Australia, the Aquaculture Industry of Australia and the Ecology of Australia. 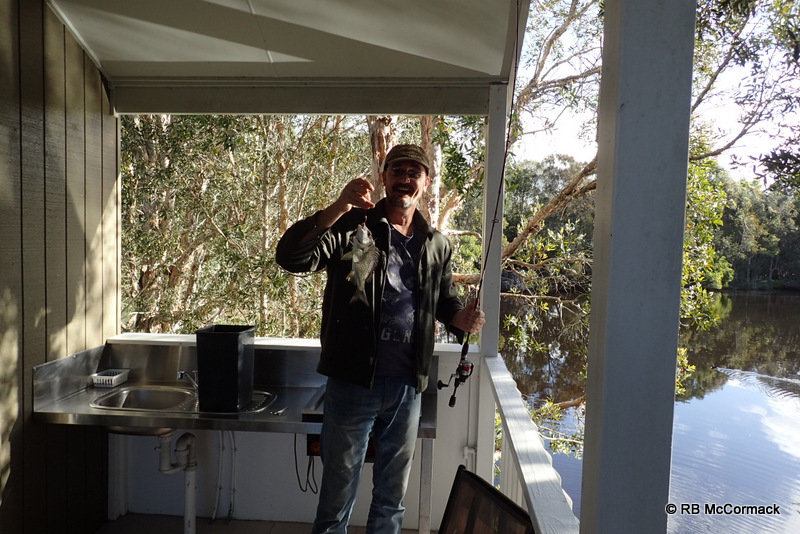 He is unconcerned with exotic crayfish being bred and distributed throughout Australia. Now, thanks to the Minister and his Department the clandestine trade has moved out of Facebook and into main stream media. These environmental vandals are now openly trading their illegal produce on mainstream media. Thanks to Barnaby Joyce the trade has moved onto Gumtree. There is current Legislation to solve this problem and discourage further black market profiteering from illegal exotic crayfish. Unfortunately, efforts with the Minister for Agriculture and Water Resources the Hon Barnaby Joyce, have been unsuccessful and the Minister has approved the proliferation of this exotic species in Australia. Those who were previously dealing clandestinely on Facebook are now marketing openly on Gumtree touting they have the approval of the Department of Agriculture and Water Resources. 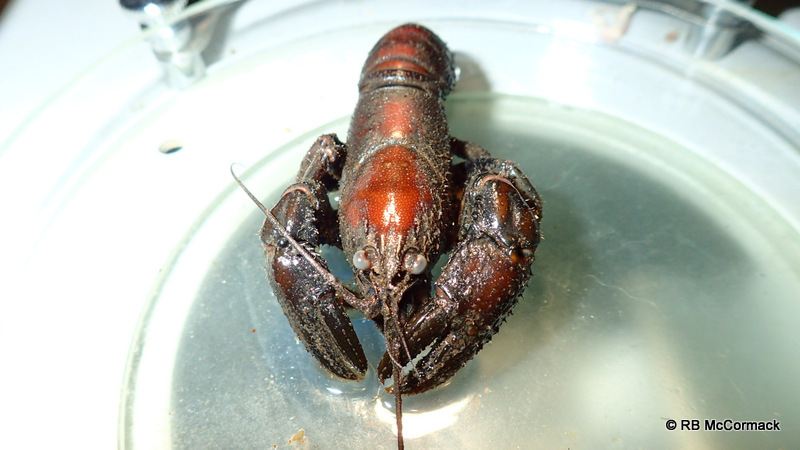 Distinguishing between an exotic crayfish newly illegally imported carrying crayfish plague or an exotic crayfish supposedly breed from illegal imports without plague is impossible. 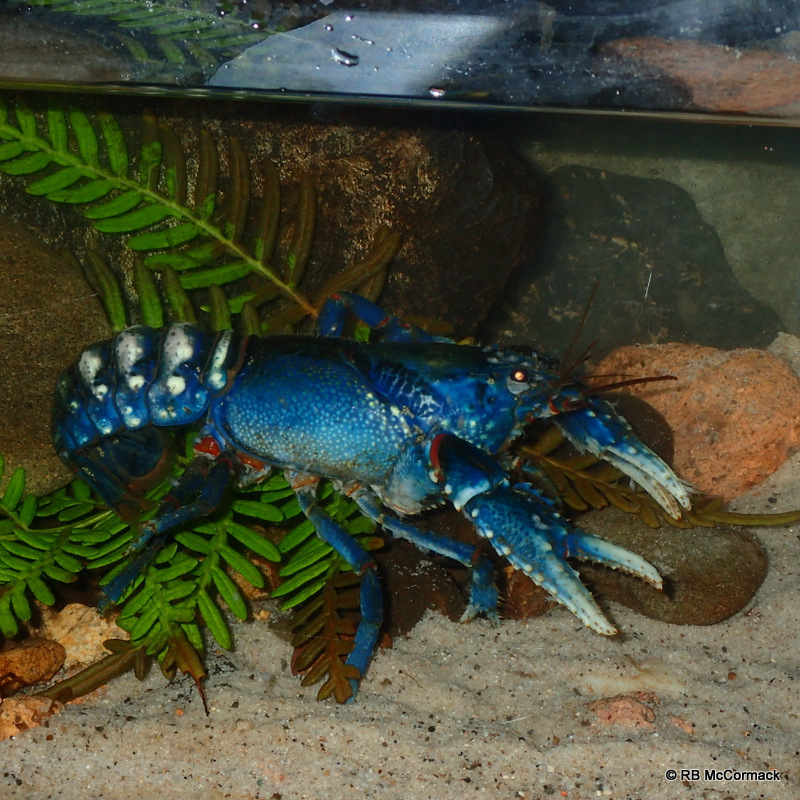 All exotic crayfish should be prohibited from Australia. Offspring from illegally imported species should also be illegal, it is unacceptable that Barnaby Joyce considers them legal. 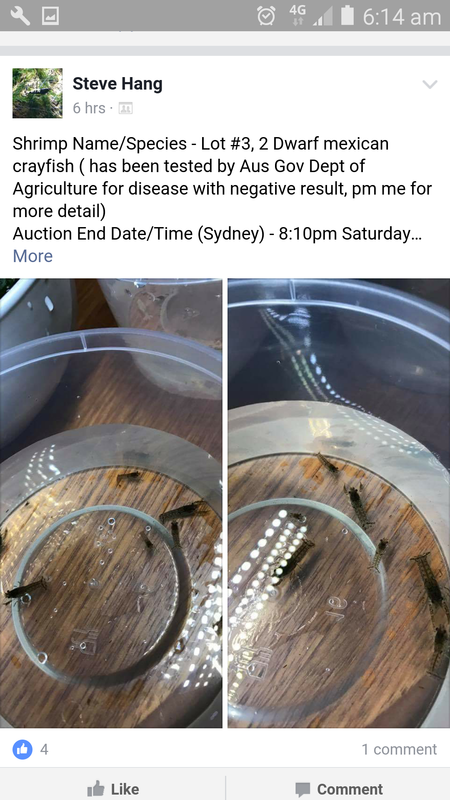 Those now propagating offspring of those illegal crayfish are profiting from a crime with the full support of the Deputy Prime Minister, the Hon Barnaby Joyce. 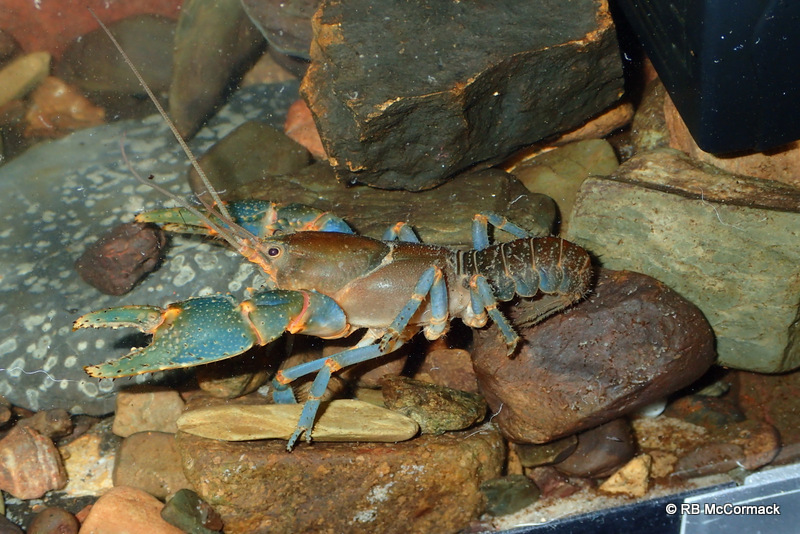 There are many other varieties/species of Mexican Dwarf Crayfish. 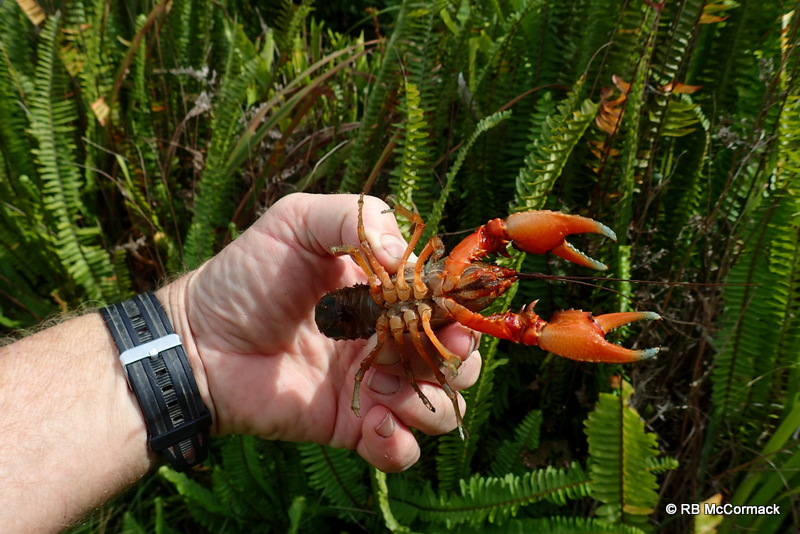 For example the orange dwarf Mexican crayfish (Cambarellus patzcuarensis) may sell for well over $2000/crayfish when it is illegally imported into Australia. 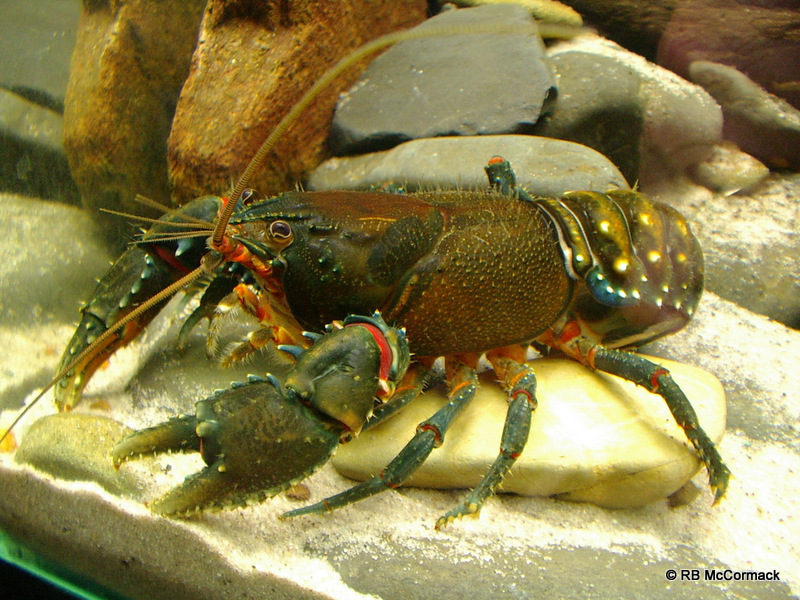 Make NO Mistake the aquarium crayfish industry is huge with hundreds of species traded worldwide. 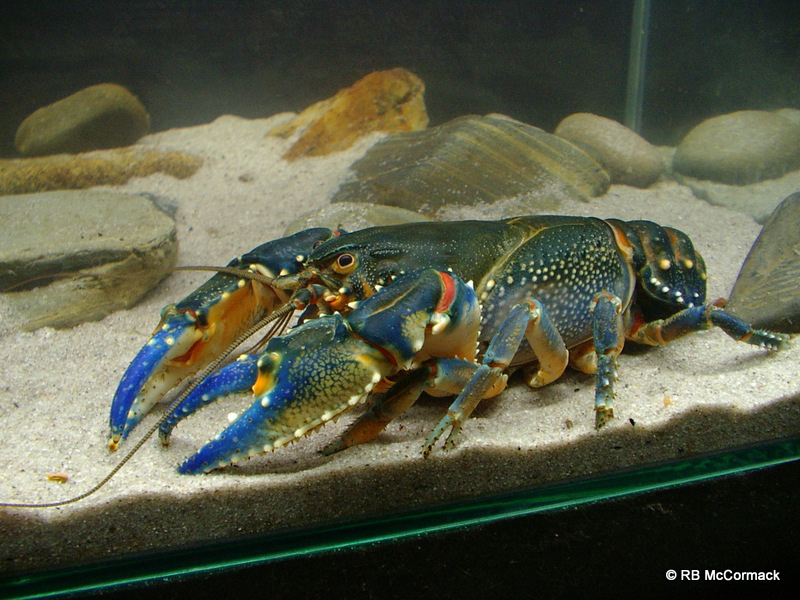 For example in America the aquarium pet crayfish industry trades $100 million USD/year. 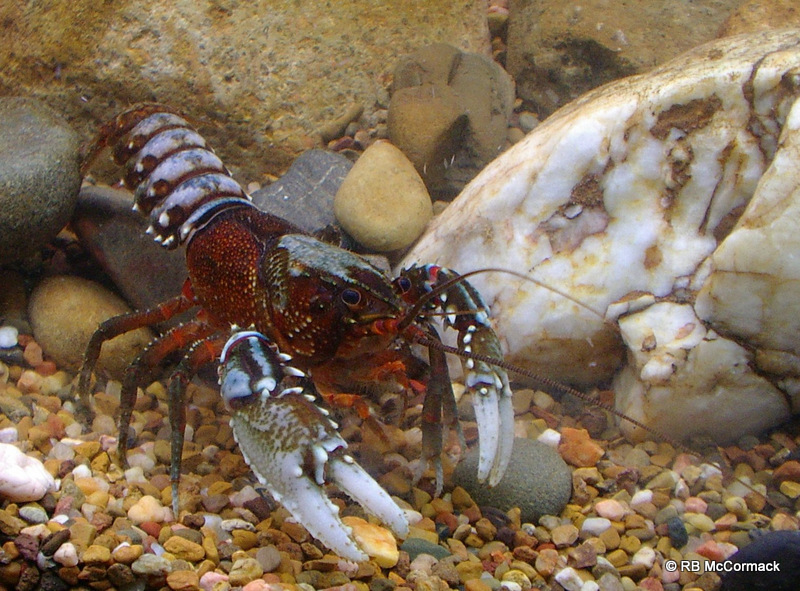 The incentive and demand for unique crayfish species is huge. The huge sums of money to be made from the illegally importing of more exotic crayfish species into Australia and the condoning of the sale of the progeny from this black market trade by the Department of Agriculture and Water Resources is placing the ecology of Australia at extreme risk. 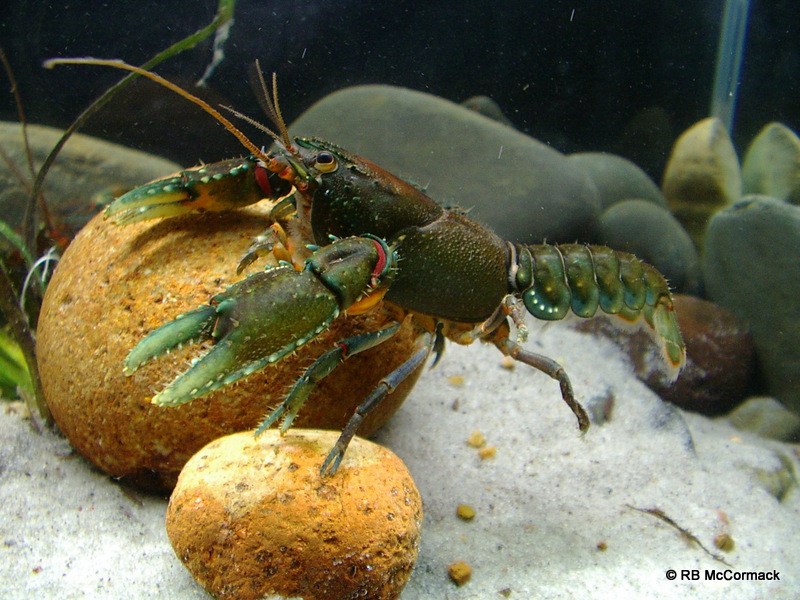 Lack of action on this first illegal import gives the GREEN LIGHT for further illegal imports of exotic freshwater crayfish. This issue is far from over, here in NSW we have far more efficient and professional Government Departments than DAWR. NSW DPI is well aware of the risks. 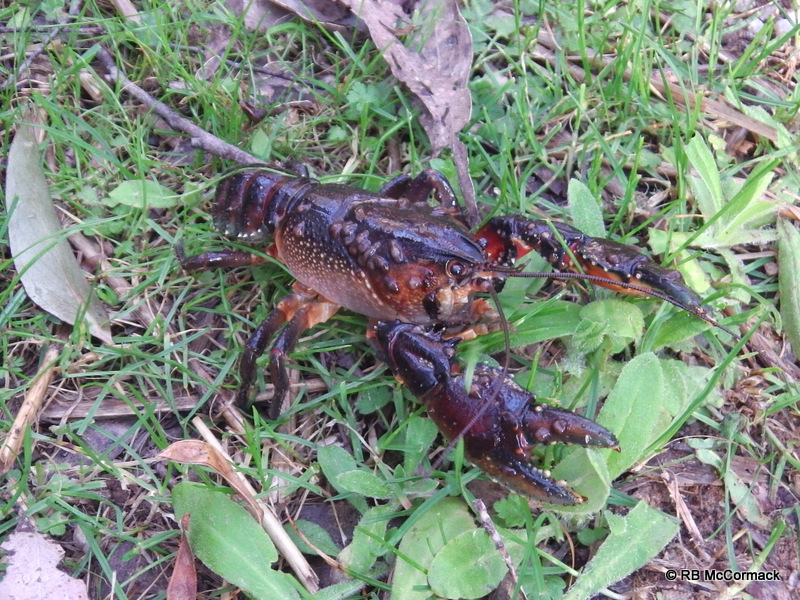 The NSW Department of Primary Industry states: Many European countries have had their crayfish stocks destroyed by the so-called “crayfish plague”, caused by fungus Aphanomyces astaci. 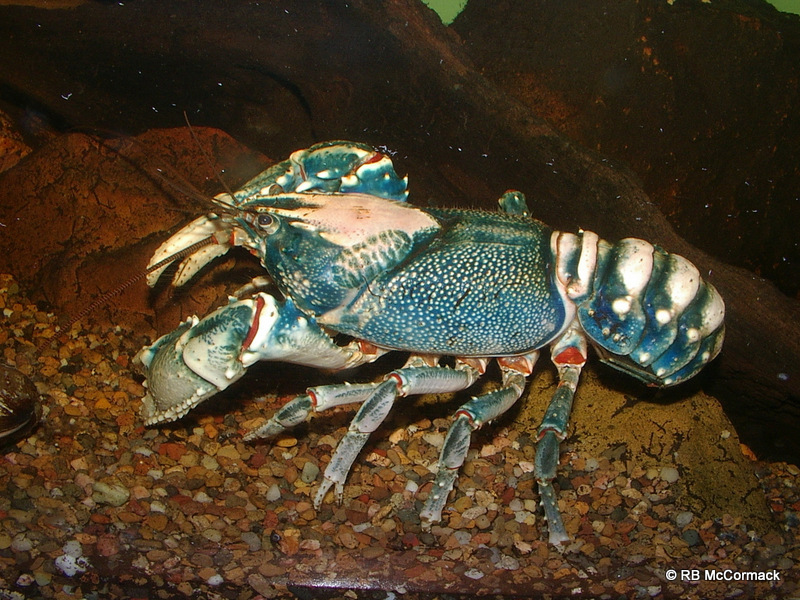 It originated in the United States and spread to Europe with introduced crayfish. 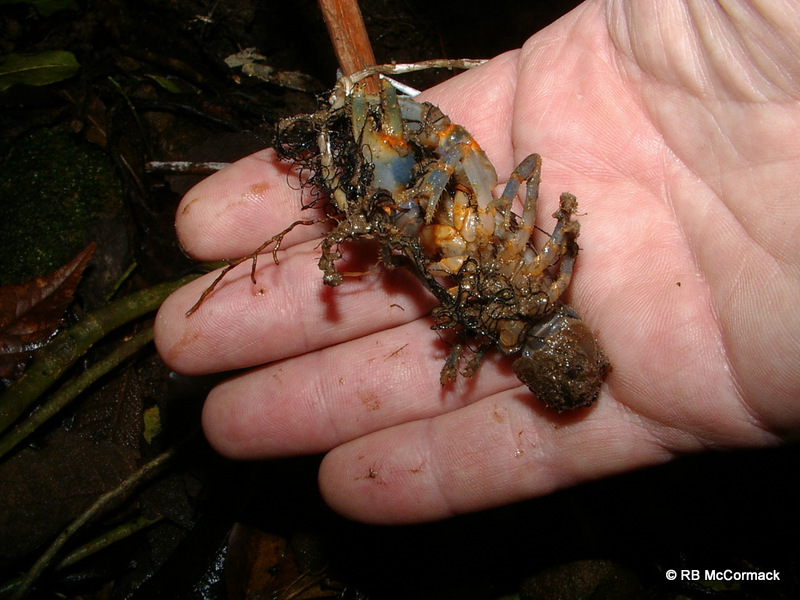 This fungus is not present in Australia, but tests have shown that if it were to reach Australia it would destroy many of our crayfish stocks. 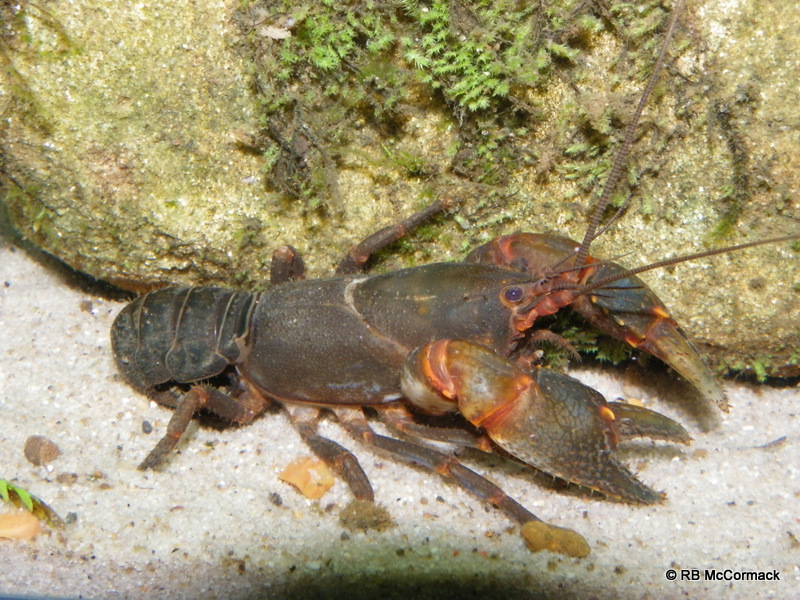 To stop this fungus destroying our unique crayfish fauna, the import of crayfish into Australia has been prohibited. I have generated a report for the NSW Aquaculture Association on this Issue and the Risks. For a copy of that report “Click here”. 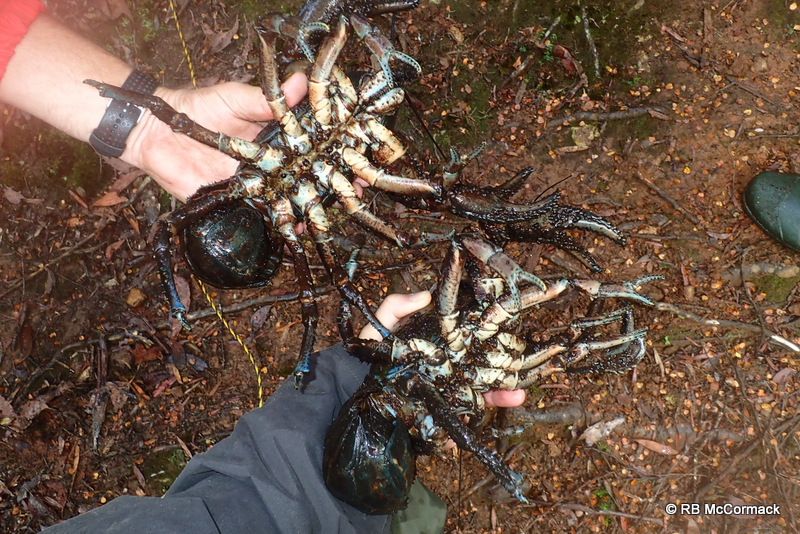 Hopefully, these crayfish will soon be prohibited in NSW and anyone with them in their possession will be prosecuted. We will continue to push for the same in all states and continue to harass the Federal Government to pick up their game and protect the ecology of Australia. I urge you all to join with us and add your voice and question the Government Departments as to what they are going to do to resolve this extreme biosecurity risk to Australia. 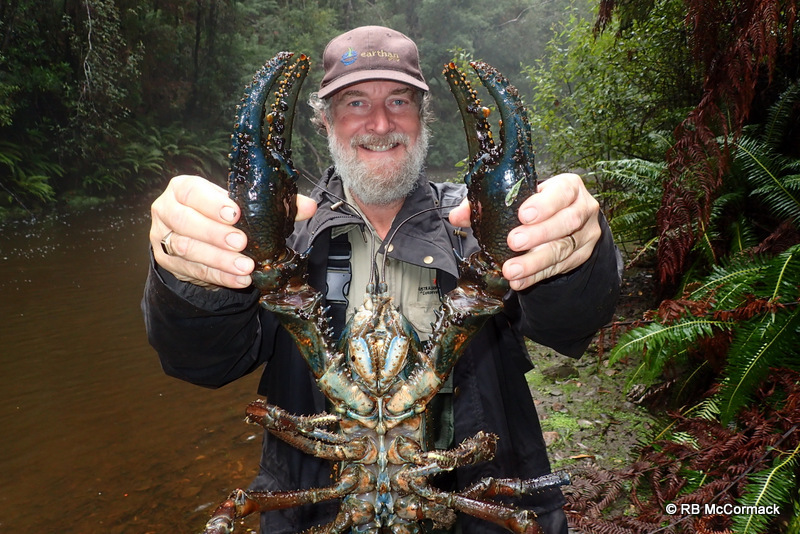 The Tasmanian Giant Freshwater Lobster Astacopsis gouldi is the planets largest freshwater invertebrate. It’s been known to grow up to 6 kg, theses days however, animals weighing 2–3 kg are considered large and anything over 4 kg as gigantic. 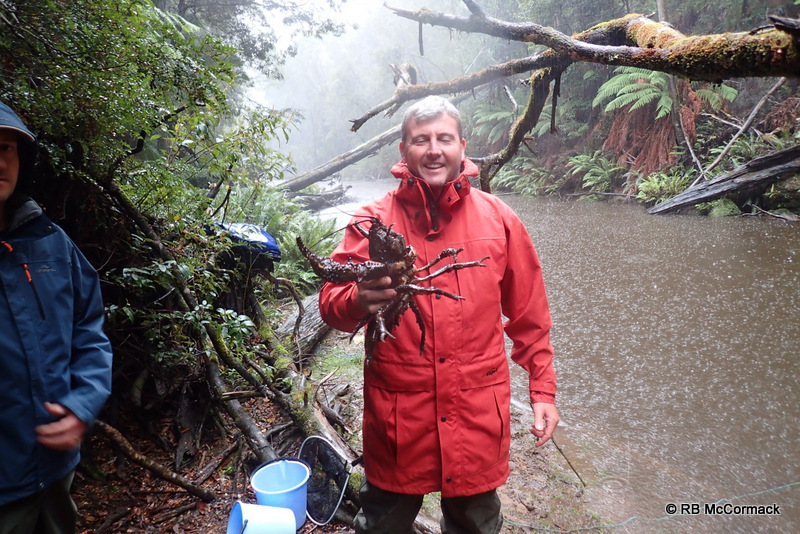 On a recent trip to Tasmania a four man Australian Crayfish Project (ACP) team joined the foremost expert on the species Mr Todd Walsh to assist him and his assistant with their research on this river giant. Todd and his assistant Michelle were great value and took us to one of their regular survey sites. 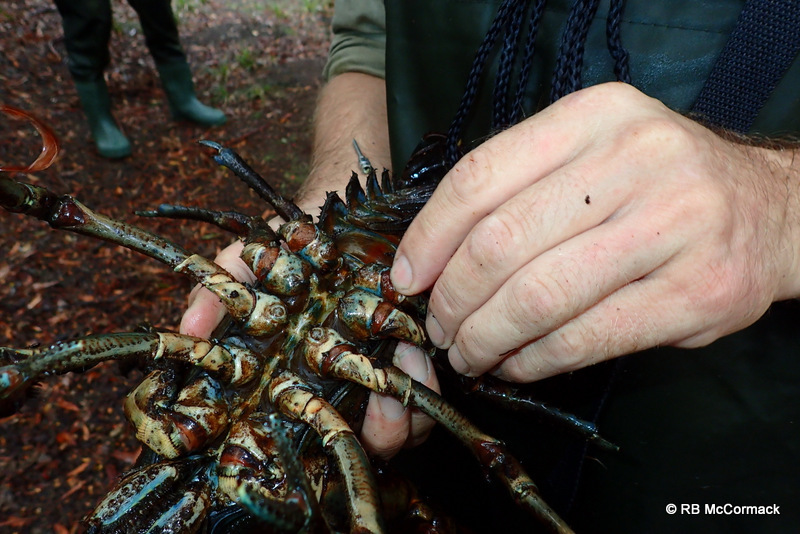 The research project involves capturing giant freshwater crayfish and microchipping them. 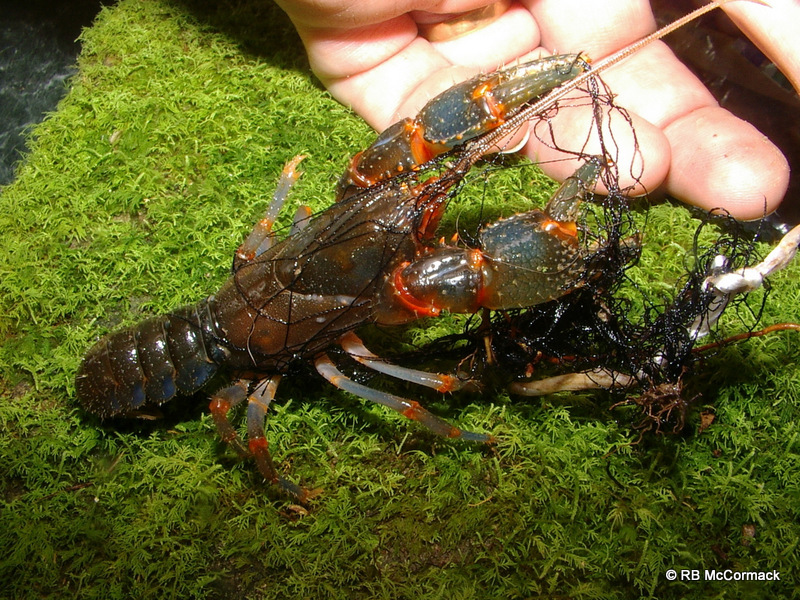 Small microchips the same as you would use for your dog or cat is implanted into the crayfish. Microchips are what is known as an RFID device (Radio Frequency Identification Device). 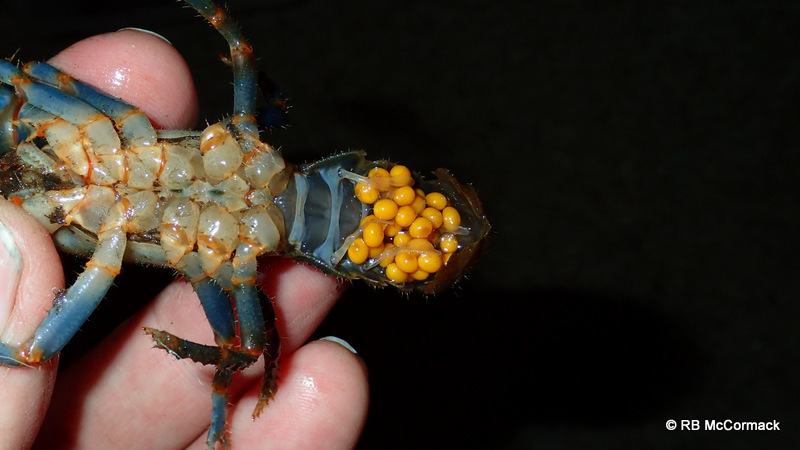 They are approximately the size of a grain of rice and implanted into the crayfish. The tiny microchip is completely inert, it doesn’t have a power source and it is not activated until a scanner is run over it. The scanner reads the unique identification number of the microchip and displays it on the screen. 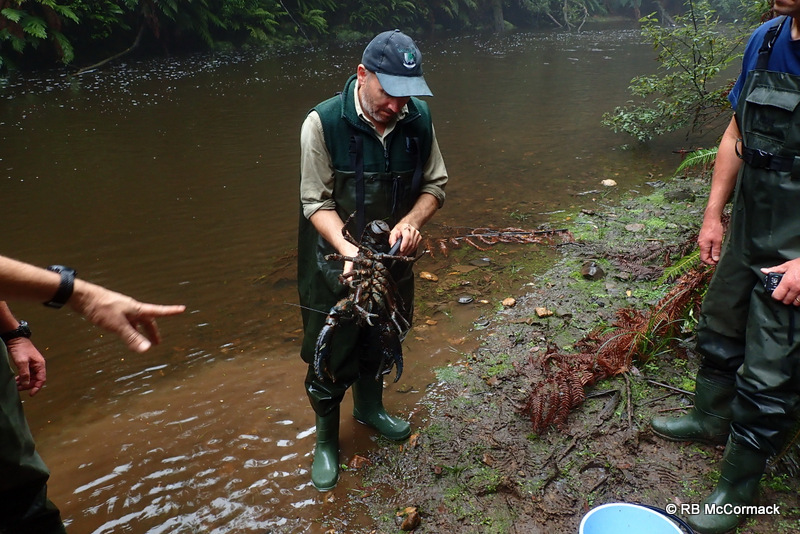 Each crayfish is micro tagged, sexed, weighed and measured. Its location is recorded and over many years Todd will compile very accurate and important information on the species growth and activity. 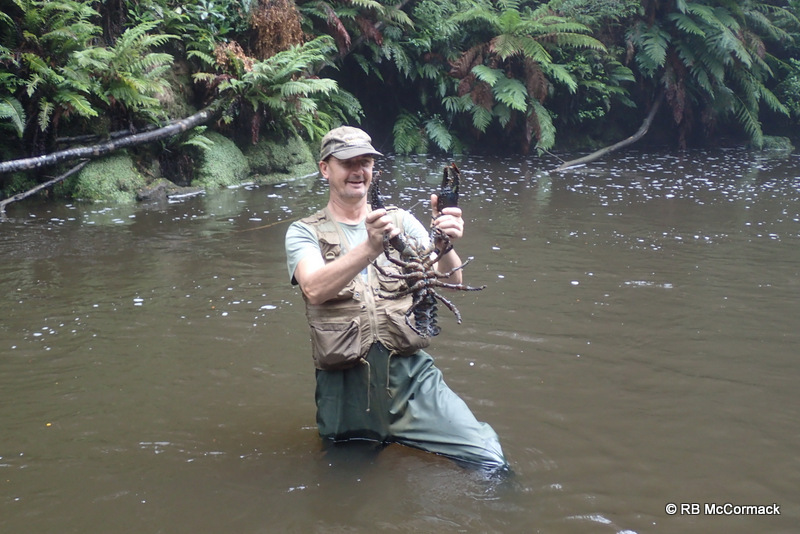 We helped Todd captured over 20 large crayfish that day and about half were new animals and half already tagged. 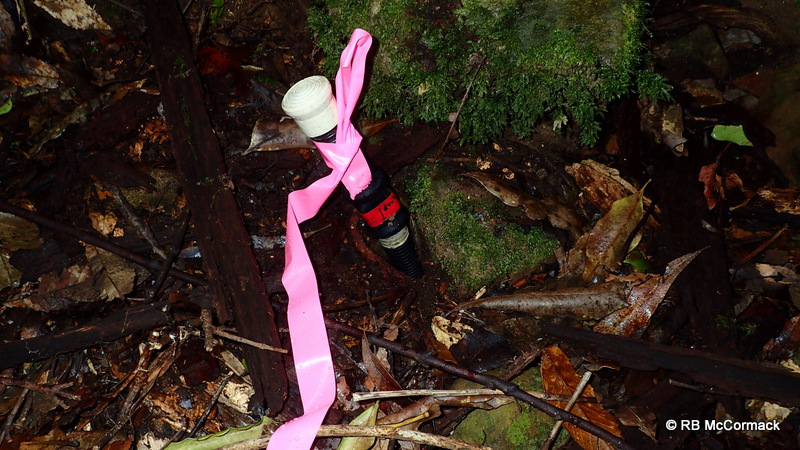 The tagged animals are very important as Todd can look back through his records and see where it was caught last and how much it has grown over that period. 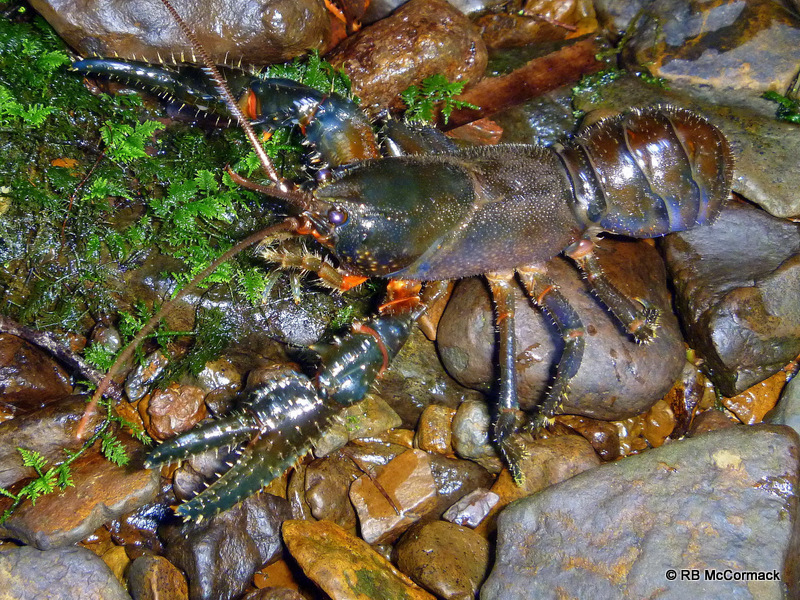 The crayfish were relatively easy to catch, being the top invertebrate predator in the river, they are fearless and happily wandered the creeks and rivers during the day. I could walk along through the river and just pick one up. They are a species that was traditionally recreationally fished for, but, back in 2000 all fishing was banned. Unfortunately, illegal fishing still seriously impacts this species which is very slow growing. They are opportunistic feeders. I was walking along the bank of the river and spotted what looked like an eel some 40 m away in the river on the other side. I called Paul over and said, that likes like an eel, and that large black shape looks like a big cray – “I think that looks like a cray eating a live eel.” Paul reckoned I was right and he called Todd over and sure enough Todd agreed and they both slide down the bank some 6 m or so into the water, raced across the river and Todd grabbed a 1.3 kg crayfish. Todd and Paul were happy they caught another crayfish, the crayfish was unhappy as it lost its eel meal, got a microchip shoved into it before release, but the eel escaped so I expect it was happy. It was an interesting observation that they can catch and eat large live eels. 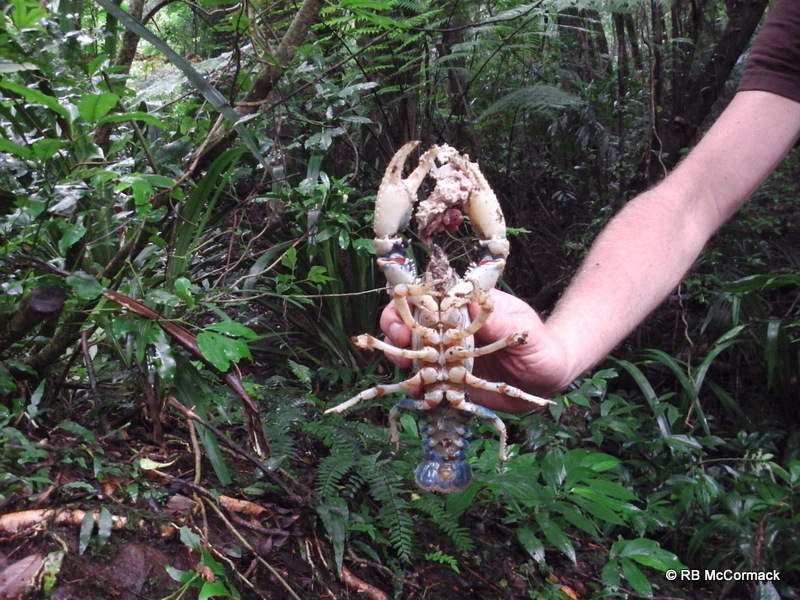 They are river-dwelling crayfish preferring pristine creeks and rivers. Unfortunately, large portions of their habitat areas have been heavily modified with disastrous results for the species. They are a species that is slow-growing, slow colonising, large-sized, easily caught, with relatively low fecundity. Being May it was within the known breeding season yet we didn’t find any berried females. Surprisingly, the females don’t berry every year and it may be 2 or more years between mating. 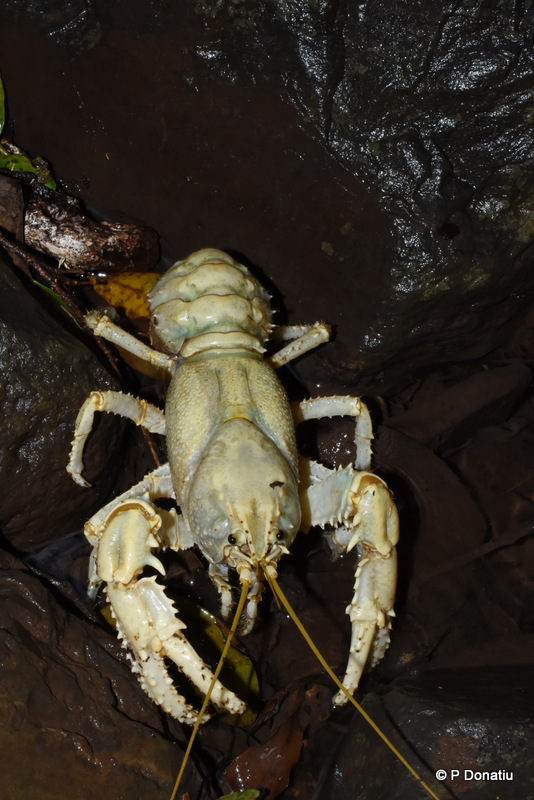 The juveniles live under rocks in the river and are very slow growing so they would be very vulnerable to predation by eels, galaxias and trout, plus cannibalism from other crayfish. 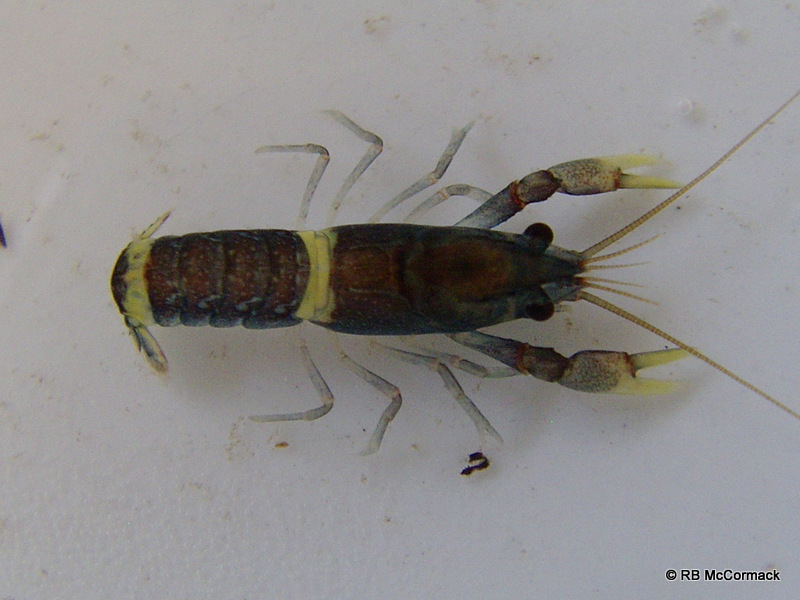 We surveyed some of last years juvenile crayfish, but they were under 10-12 mm OCL so still very small. Our sincerest thanks to Todd and Michelle for taking the time to share their vast knowledge with us. A very memorable time for us all and we hope to be back soon to do it all over again. 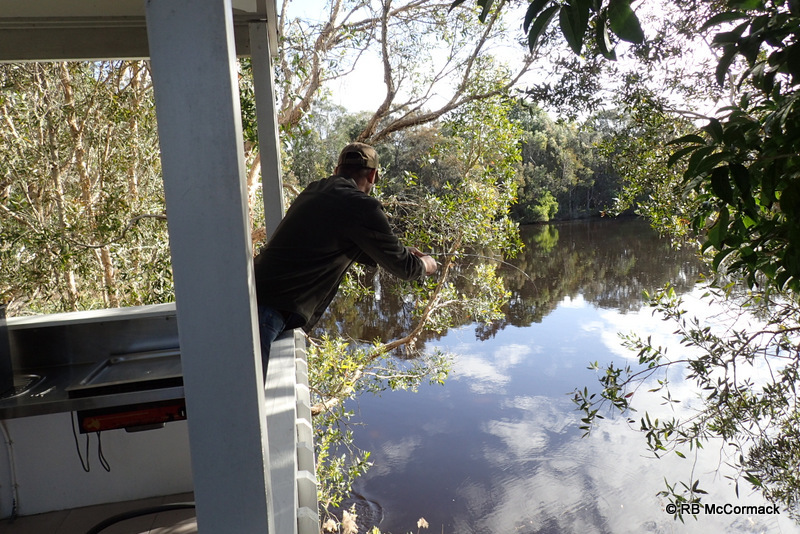 The East Gippsland region of Victoria is a difficult region to survey with a limited window of opportunity. In summer it’s too hot and subject to bushfires and closed forests. 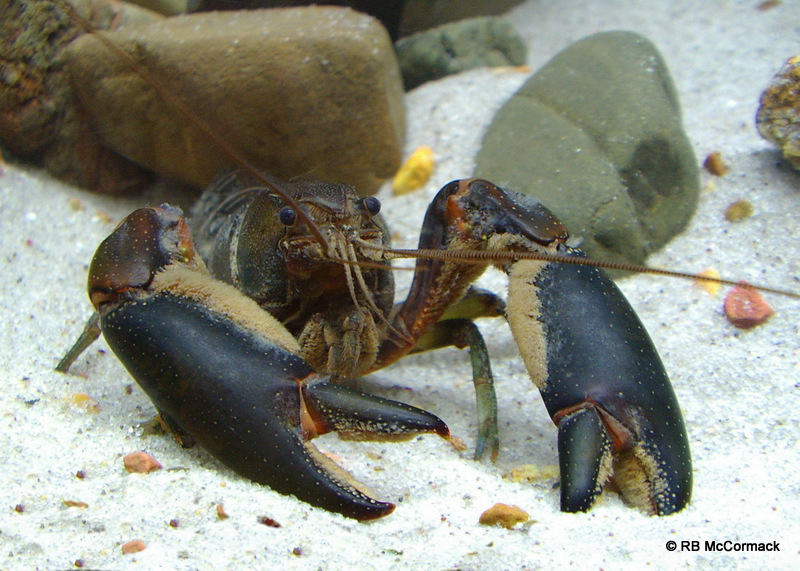 In winter it’s too cold with the crayfish retiring to their burrows and difficult to access. This leaves the spring and autumn crayfishing seasons. 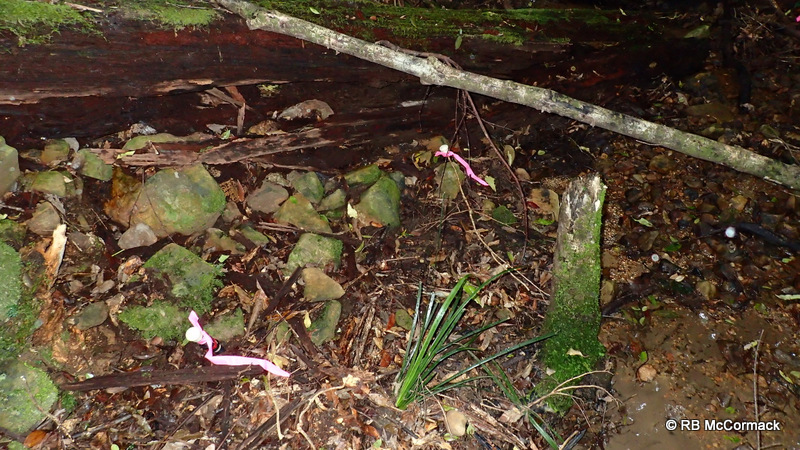 The new research season in East Gippsland, Victoria commenced in March 2016 when the ACP teams commenced surveying. 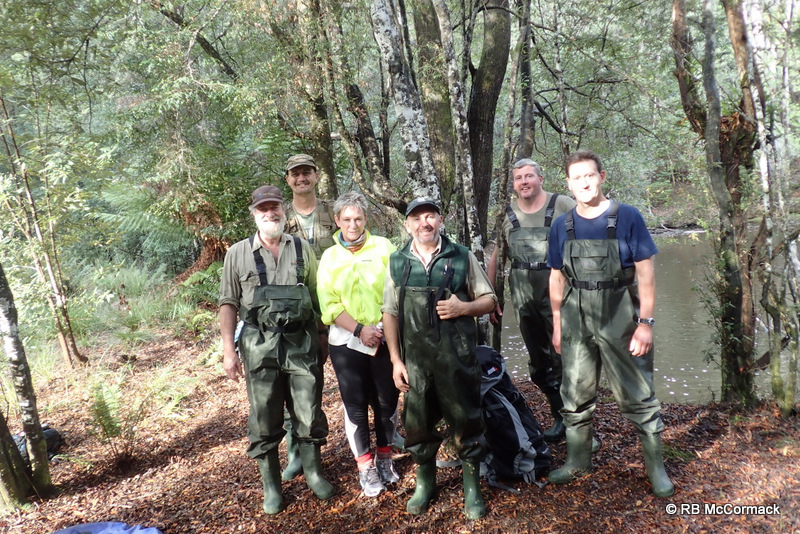 The first survey was of the upper Murray River and tributaries of the upper Snowy River (The Little, Suggan Buggan and Buchan Rivers). 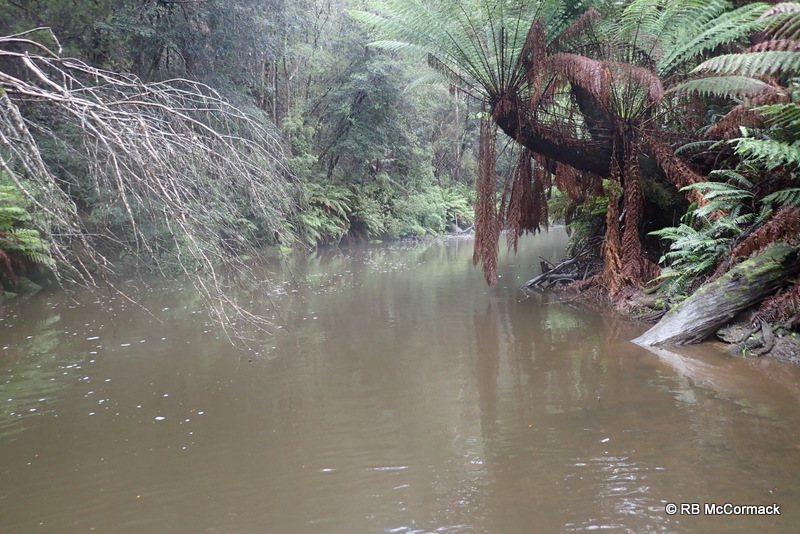 Team members Rob McCormack and Craig Burnes surveyed these rivers with great success. 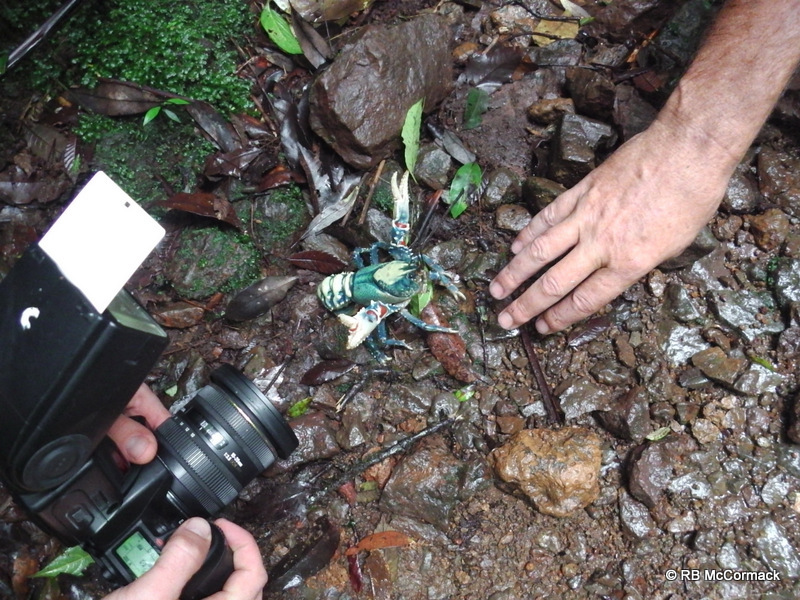 We were collecting specimens of a species we lovingly refer to as Euastacus neocrassus. It’s very similar to Euastacus crassus found further north. 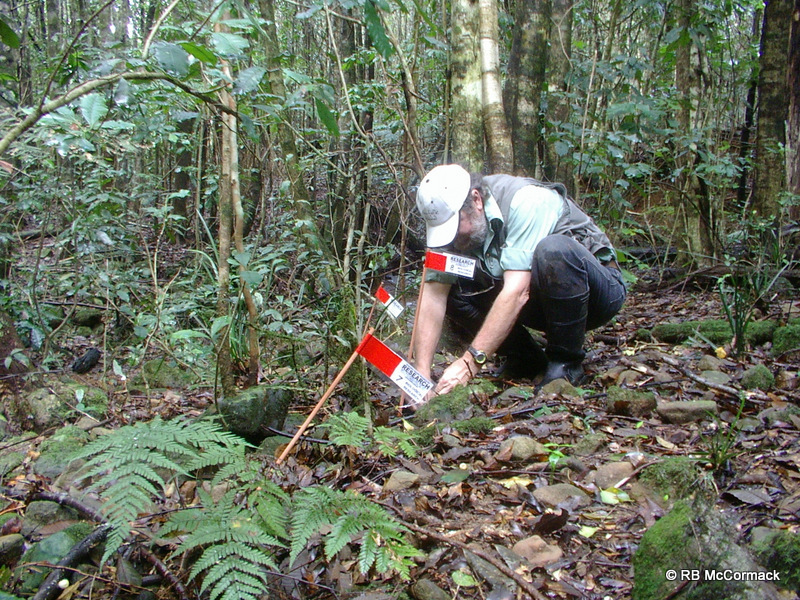 The object of our research is to collect specimens and compare the genetics. 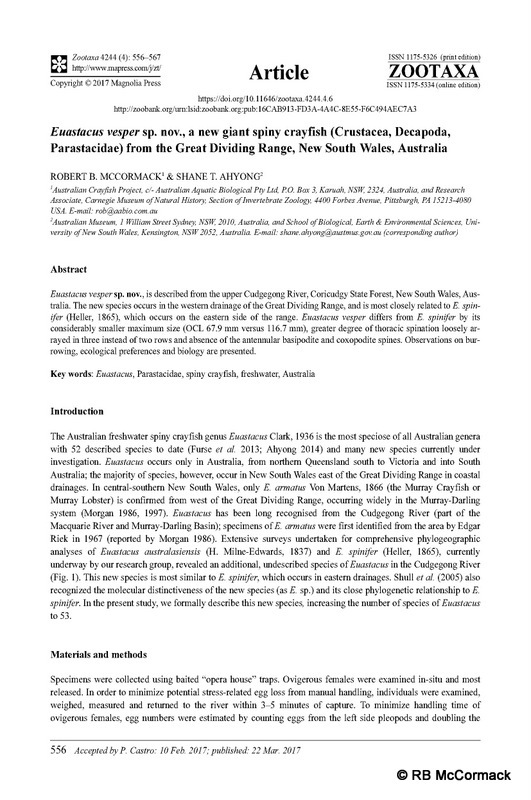 We have specimens of Euastacus crassus from further north and the ACT plus the new population we discovered in the Shoalhaven River drainage. 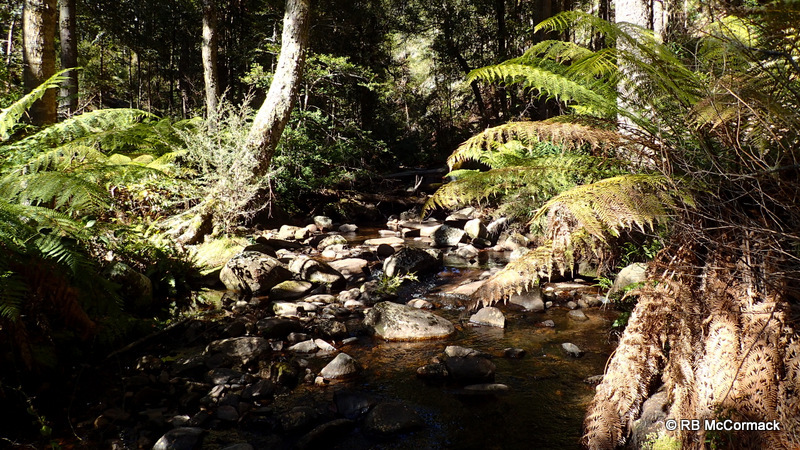 Add in these new ones from the upper Murray and the Upper Snowy and Tambo rivers will make an interesting DNA analysis and may lead to the redescription of E crassus or the description of new species. Stay tuned for further updates.